I love books. Besides reading for pleasure—something I don’t have nearly as much time as I’d like for—I have a growing collection of genealogy books. I’ve got hefty reference volumes, guides to particular states and time periods, books on German and Irish research, citation and standards manuals, family histories, and books on writing and editing. Now I don’t know about you, but my memory isn’t up to maintaining a running inventory of what I do or don’t have. How do I keep track of it all? LibraryThing. 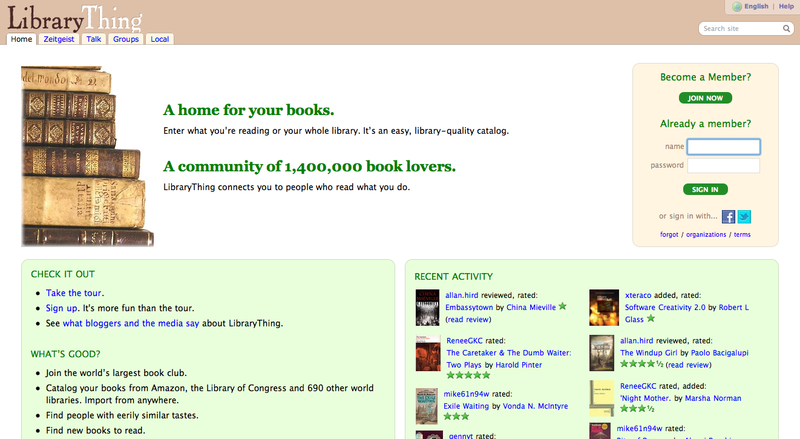 LibraryThing allows each member to create his or her own personal library catalog. Here in one place, easily accessed from any computer or smartphone anywhere, I can see all my books at a glance. It came in especially handy in September in the Exhibit Hall of the FGS Conference, as I pondered whether I had already purchased a couple of books (or had I just thought about buying them before?) All I had to do was pull the website up on my phone and check my catalog. Using LibraryThing is simple. You’ll need to create an account with a user name and password to get started. Once you’re in, just go to the “Add Books” tab and enter a title, author, or ISBN number. In most cases the book will pop up in the right-hand column, and you just select it. You can search for the book in the Library of Congress, Amazon.com, or LibraryThing’s own Overcat directory. You can also tag the book with descriptive keywords. 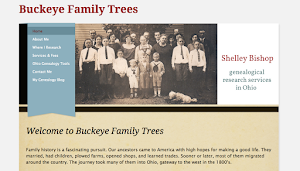 My tags include citations, family histories, history, maps, methodology, photography, resources, standards, technology, and writing, among others. Best of all, LibraryThing (www.librarything.com) is free for accounts with up to 200 books. If your library exceeds that, you can choose an amount to contribute for a yearly or lifetime unlimited membership. You have the option of making your profile public or keeping it private. 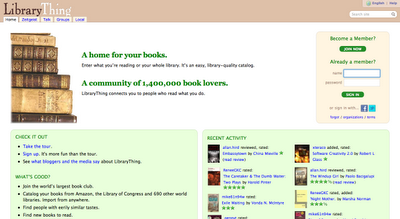 There’s also a social networking aspect to LibraryThing, which I admit I haven’t used to its fullest. But it can be fun to see who has some of the same books as you do, and you might spot a title you want to check out on someone else’s list. 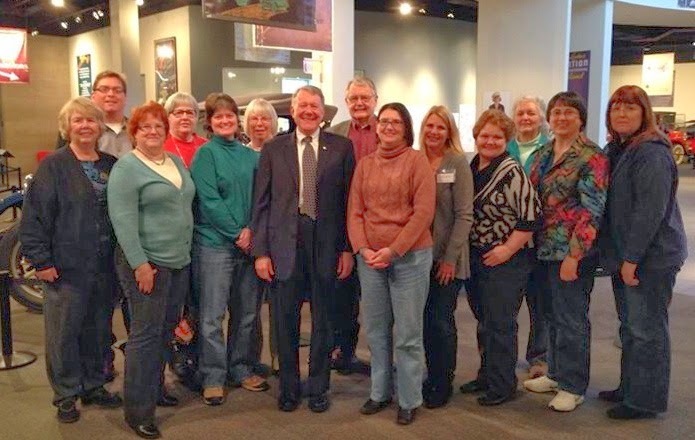 You can make connections with other members, read or write book reviews, find recommendations, join groups, participate in forums, and more. I’ve found that one key to using LibraryThing effectively is keeping it up-to-date. After spending the initial time to enter my books and tag them, I realized I had to make it a habit to do the same with each new purchase. So whenever I get a new book, I lay it beside my computer to remind me to enter it into my catalog. It doesn’t move until it’s in there. Works for me. Sounds wonderful, Shelley! I've heard about it over the years in homeschool circles, but had completely forgotten about it. It's a definite addition to my list of tools to check out. It sounds perfect for convention season. Thanks, Shelley - this at least reminded me to go back and look at our personal library lists and acquisition plans prepared in ProGen. And I had forgotten that I had used a similar feature in WorldCat...definitely time to update! Hi Stephanie, hope you find it helpful if you check it out. I really do appreciate the access to my books in exhibit halls where there are so many things vying for my attention. Malissa, it's interesting to go back and look at those book lists again. Mine seems to be expanding rather than shrinking! Great post that I just found. Jill, thanks for stopping by to read and comment. I'm glad you like the post. I agree it's fun - and helpful - to see what other people with similar collections have added recently. I'll look for you on LibraryThing! Another thing to figure out on my Android phone... Whew! But this looks useful, particularly for a want list. Thanks for talking about this interesting app.